Nintendo revealed the next IP to join their mobile lineup, and it’s the big one. According to The Wall Street Journal, The Legend of Zelda will be the next property to get a smartphone game, following the release of the upcoming Animal Crossing mobile title in the second half of 2017. No details were provided regarding what kind of game The Legend of Zelda‘s mobile incarnation would be. 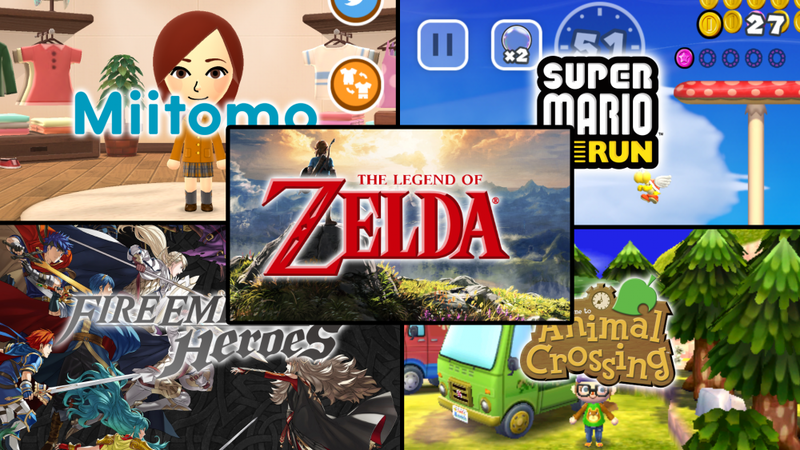 So far, Nintendo has been adapting its IPs to existing mobile genres; Miitomo was a social app tied to a Mii maker, Super Mario Run was a runner-style game, and Fire Emblem Heroes was a tactical RPG. Keeping in mind that the company has previously stated that there will be no straight ports of existing games from any IP, it’s always possible (but highly unlikely) that they may develop it as a new action RPG similar to other titles in the series. There’s also the question of whether this game will require a $10 purchase to unlock the full game, like Super Mario Run, or rely on in-game purchases like Fire Emblem Heroes. What kind of mobile game do you think The Legend of Zelda should be? Let us know in the comments below!